Bertram Verhaag has made films about GMOs in the food supply which have earned him international recognition. 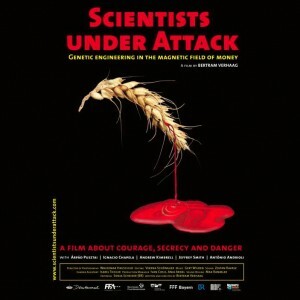 His latest film is Scientists Under Attack. Music by: Joe Jackson, Al Jarreau, B-52’s, Paul McCartney, Bob Dylan, Adrian Belew, Junion Brown, Frank Zappa & The Mothers, The Beach Boys, The Band, Michelle Shocked, Dana Lyons, John Fogerty, John Prine w/Emmylou Harris and Iris Dement, Ray Charles & James Taylor, Donald Fagen, and David Wilcox.